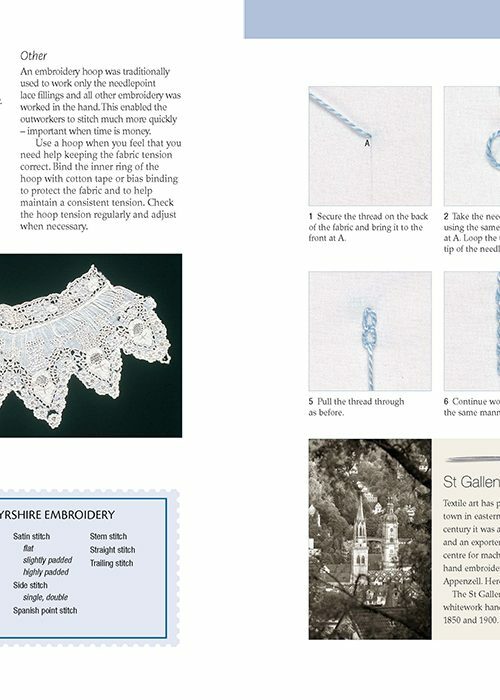 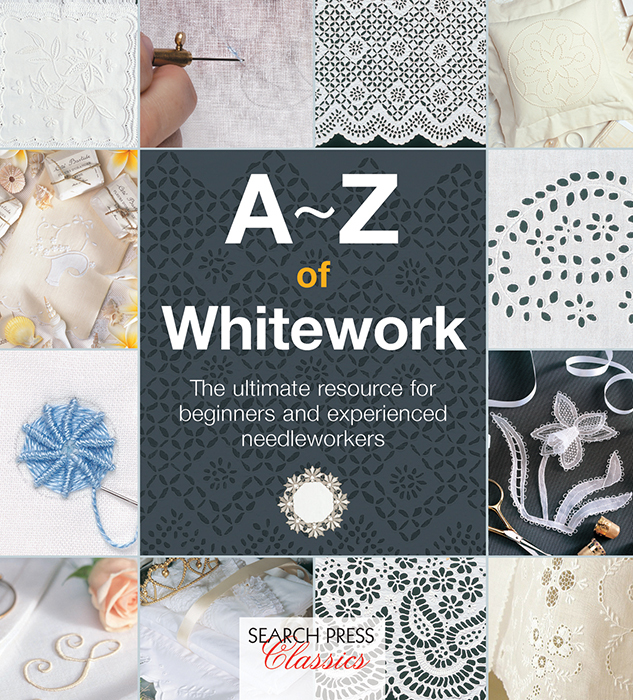 The ultimate resource for beginning and experienced needlecrafters who want to discover the timeless appeal of whitework in its many forms. 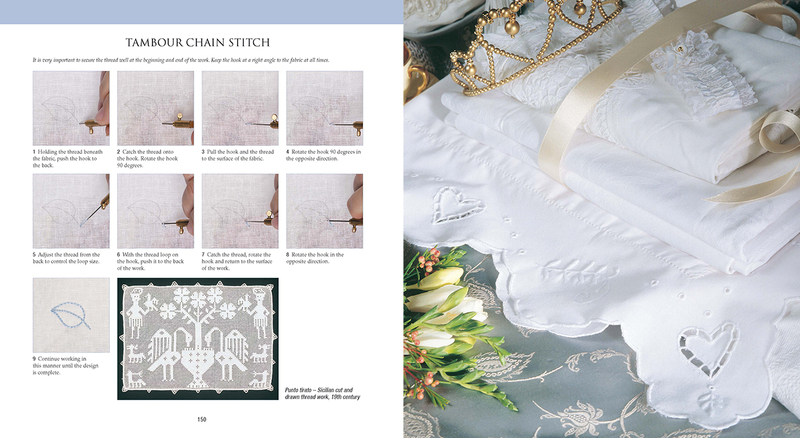 Whitework is white-on-white embroidery where the texture of the stitchery, whether it be delicate or bold, creates the beauty and interest. 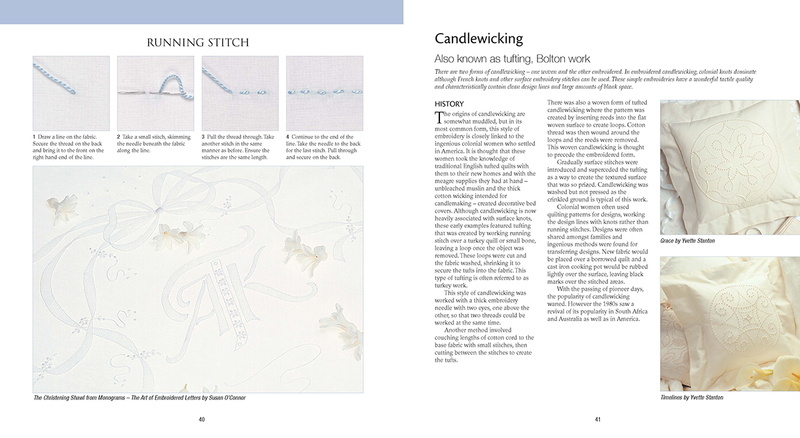 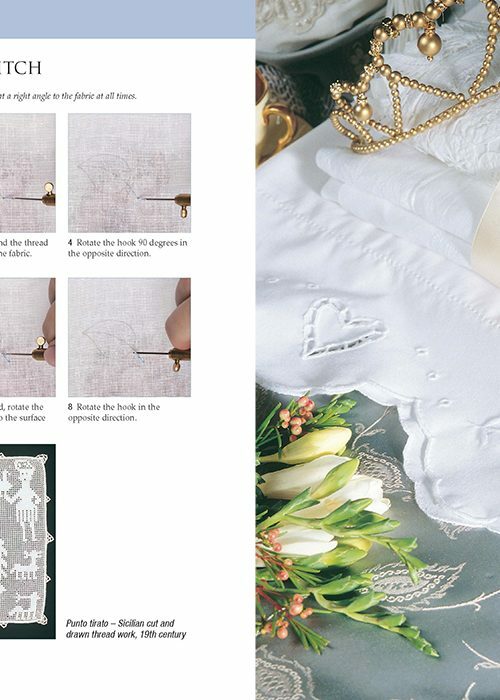 A comprehensive guide to whitework embroidery. 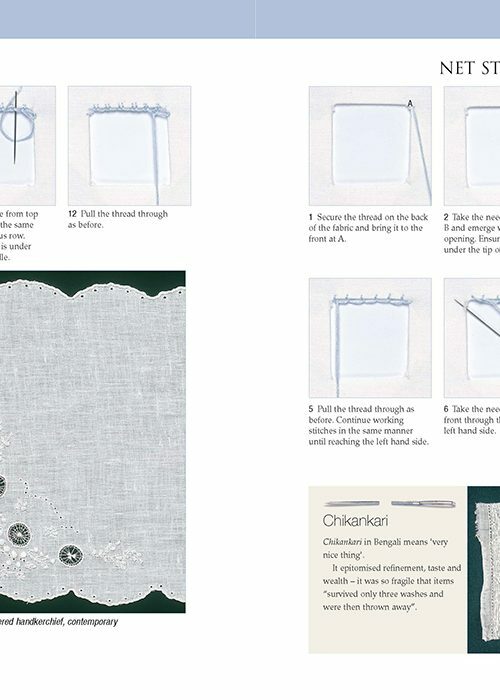 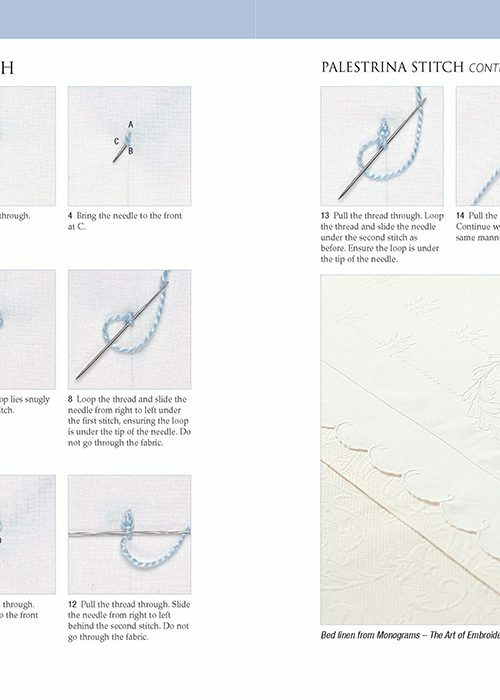 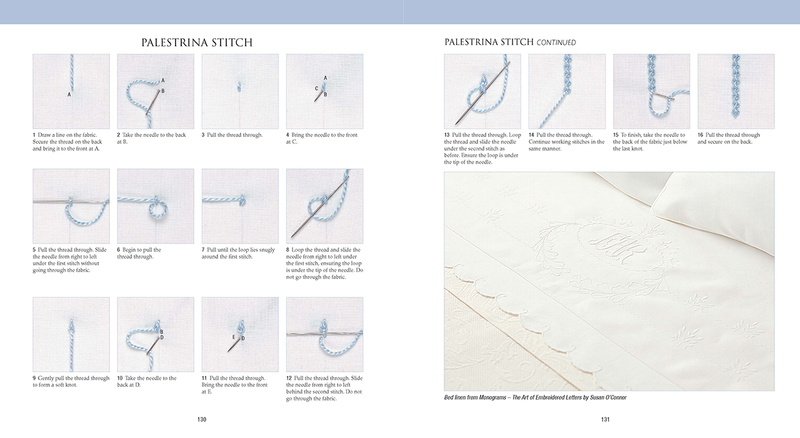 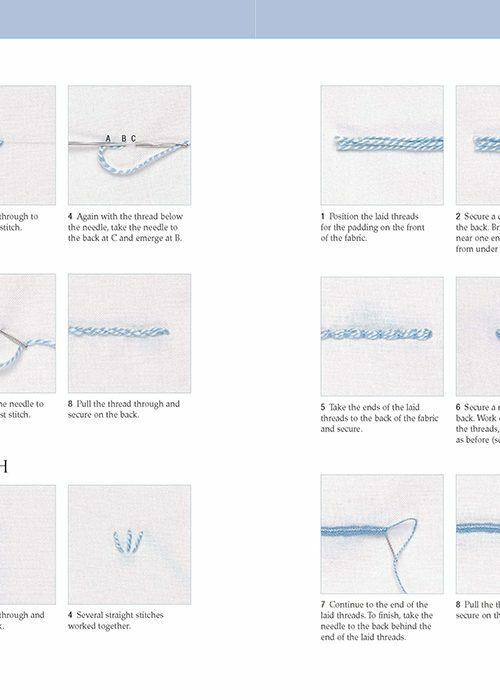 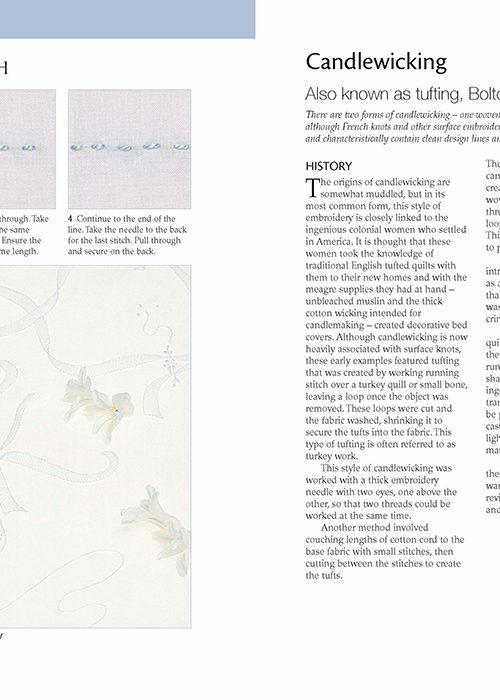 Over 1000 step-by-step photos illustrate the creation of this beautiful traditional white-on-white embroidery which has inspired needlecrafters for centuries. 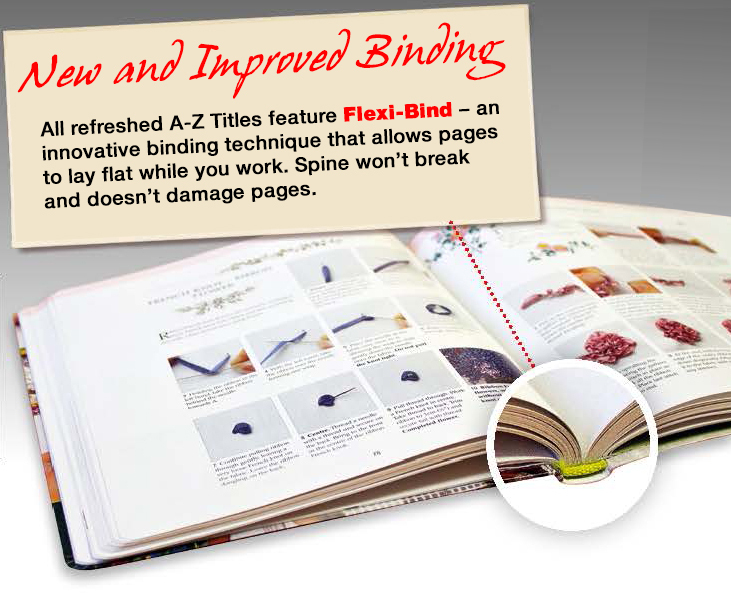 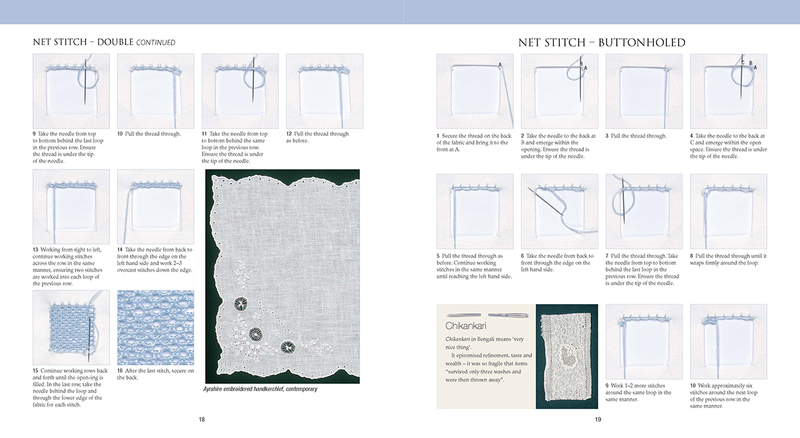 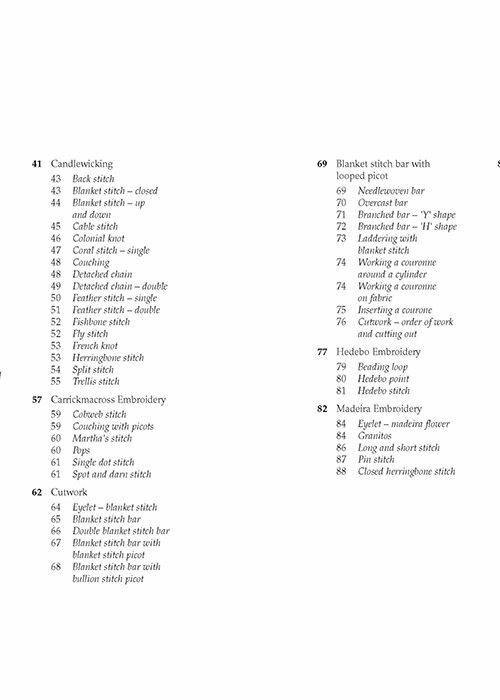 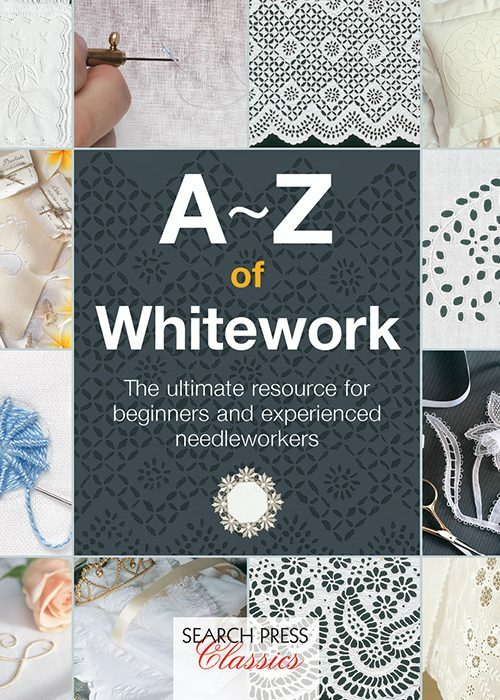 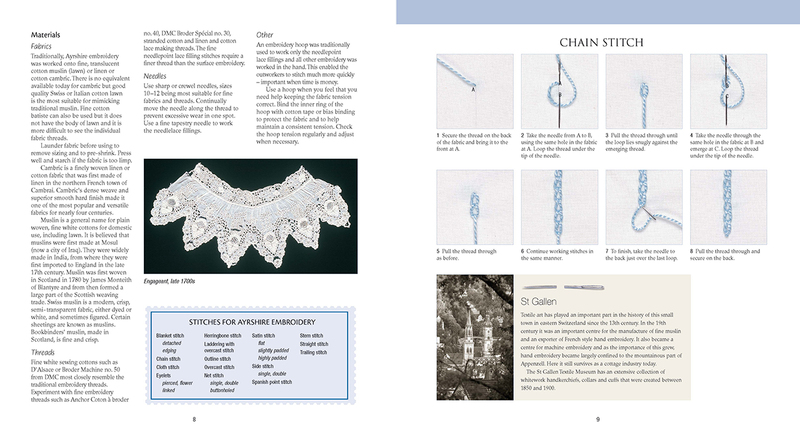 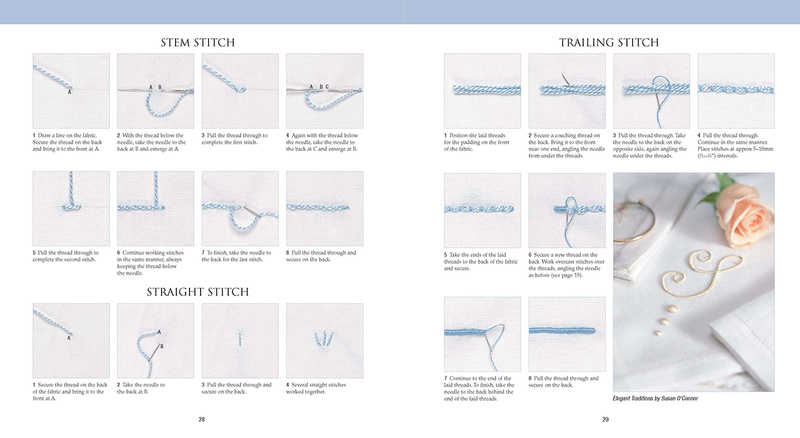 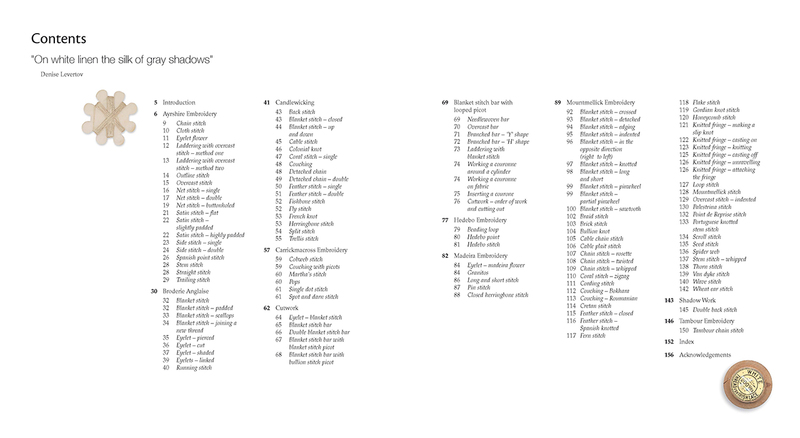 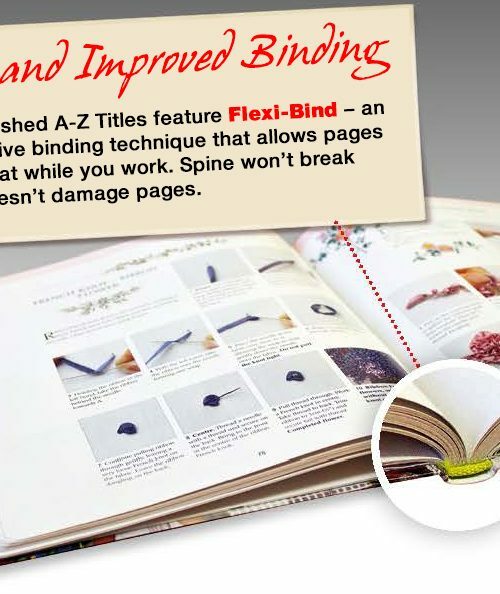 Encompassing candlewicking, Mountmellick, cut work, appliqué, shadow work and net embroidery, this comprehensive guide in the proven A-Z format includes many useful tips and fascinating historical information.